WHO needs Thomas the Tank Engine when we have our very own Tommy Choo Choo. 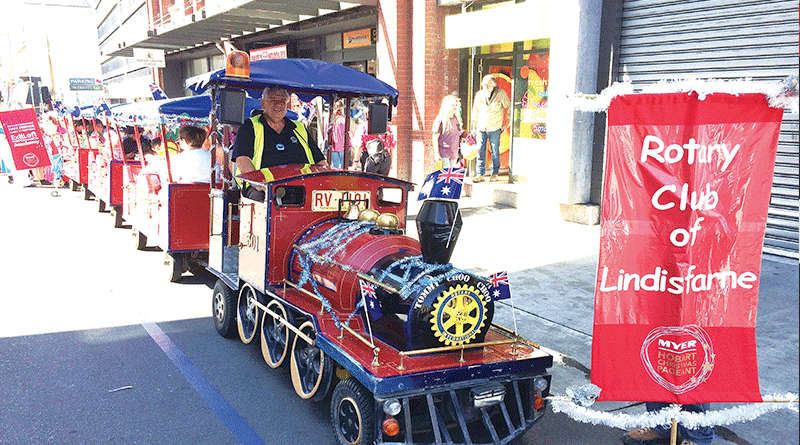 The Rotary Club of Lindisfarne’s iconic ride-on train proved to be an endless source of delight for youngsters – and the young at heart – at this year’s 2017 Myer Hobart Christmas Pageant. More than 35,000 people crowded every available vantage point in Hobart’s city centre for the popular festive spectacle, which this year featured 60 entrants and 2000 participants. 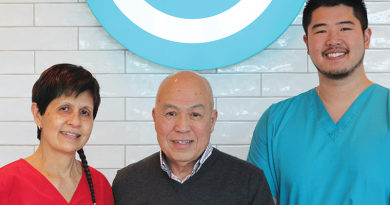 Rotary Club of Lindisfarne president Peter O’Hern said Tommy Choo Choo was a great asset for the club, not only for its fundraising capacity but also by helping the club engage with the public. “Tommy is very popular with children and families at public events and school fairs,” he said. Mr O’Hern said each trip for Tommy was a major undertaking. “It takes a team of volunteers to transport Tommy from storage, load and unload the train, drive the train, load and disembark passengers, collect money and plan the route before the event,” he said. 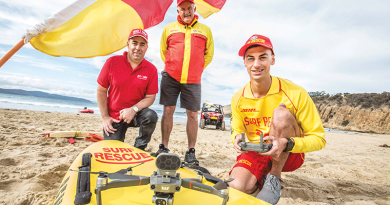 “It just goes to show the extraordinary commitment of our club’s volunteers. Tommy Choo Choo makes regular appearances at events such as the annual Government House Open Day, Sandy Bay Regatta and school fairs. Booking inquiries can be made to the Rotary Club of Lindisfarne by emailing rcolindsec@gmail.com. Caption: Tommy Choo Choo awaits its departure in Argyle Street, driven by Rotary Club of Lindisfarne past president David Lowe.